Thought Matters, an idea exchange for the highly opinionated, published an excerpt of Hot, Hungry Planet yesterday. In the late spring of 2014, while covering food sustainability at the Monterey Bay Aquarium’s Sustainable Foods Institute, I took a trip to the Carmel Valley farm stand run by Earth-bound Farm. Earthbound Farm is the largest organic farming operation in the United States. It cultivates about 50,000 acres of produce, and I spent the morning walking in a small demonstration garden that was nothing short of paradise. Everything was a verdant green. Yet just beyond the farm, where the Carmel Mountains meet the horizon, was dry scrub and pale brown grass, a truer reflection of this parched land. The Golden State, which got its name from the grasses that turn a shade of palomino blond in summer, then green up again during the fall and spring rains, was looking more like the Brown State. As California’s drought dragged into the next year, I couldn’t shake the sense of a crisis brewing in Carmel Valley. I was also hearing reports of conflict over water in war-torn Syria. I wondered, could water conflict on that scale ever occur here? I couldn’t blame Earthbound’s owners for choosing this idyllic spot, or other farmers for choosing any other location along California’s central coast, where morning fog moistens the otherwise dry landscape. When the founders of the farm first started growing raspberries on two and a half acres, they didn’t imagine it would expand to become America’s largest organic producer of salad greens and vegetables. But Earthbound’s growth was only one among the more recent in decades of farming expansion all across California, and especially the nearby Central Valley, since the Dust Bowl of the 1930s. Through the magic of irrigation, these farmers had made a desert bloom. While Earthbound’s leafy expanse appeared intact, agriculture is in jeopardy throughout California and other western states. A 2015 investigation in ProPublica reported that California’s drought is part of a much bigger water crisis that is killing the Colorado River, “the victim of legally sanctioned overuse, the relentless forces of urban growth, willful ignorance among policymakers, and a misplaced confidence in human ingenuity.” Climate change will only exacerbate the problem. 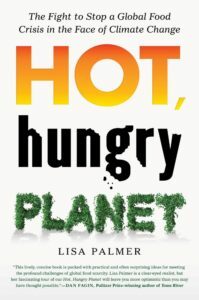 Continue reading on Thought Matters and to buy your copy of Hot, Hungry Planet, please go here. 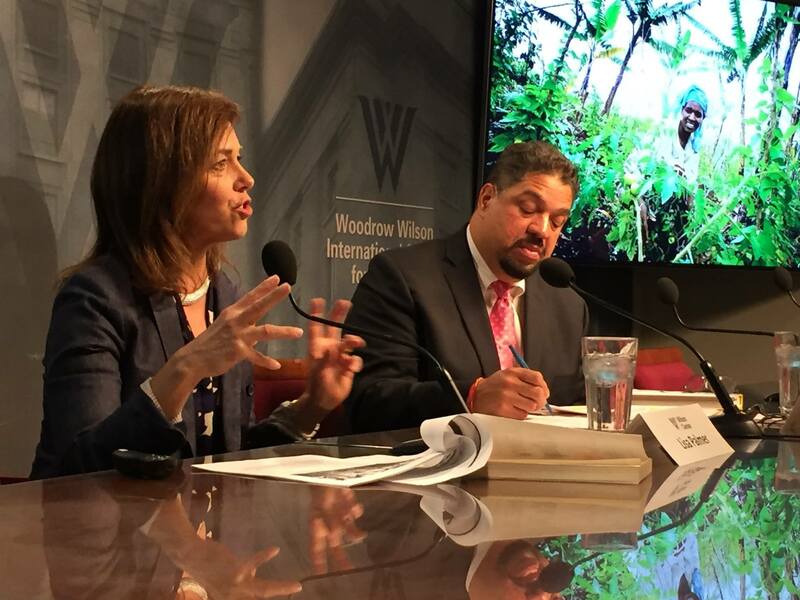 Last month I gave a presentation at The Wilson Center about the publication of my new book, Hot, Hungry Planet: The Fight to Stop a Global Food Crisis in the Face of Climate Change (St. Martin’s Press). I write about how global agriculture is ready for sustainable solutions. The Pulitzer Center provided support for my reporting in India, where I found that climate change is altering agriculture across a variety of societies. I observed how people are working together to develop climate smart villages and asked: What does this mean for their food security, especially for the world’s most vulnerable people? A confluence of environmental, social, and economic factors are leading to major food shortages around the world, especially in poorer countries. 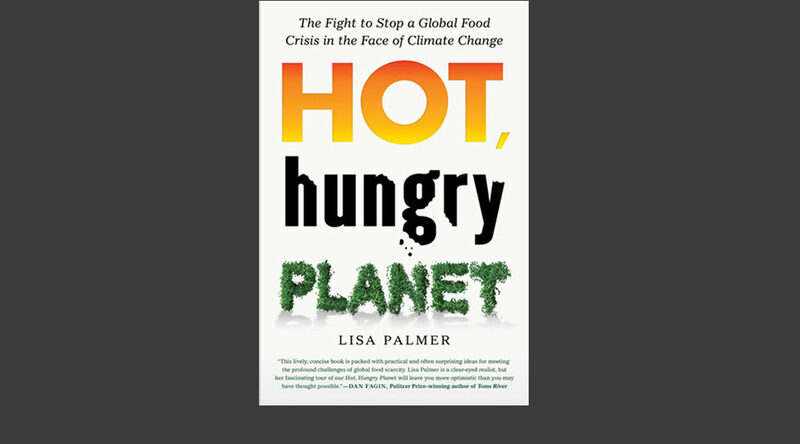 By drawing upon her reporting and research on the environment, sustainability, and agriculture, Pulitzer Center grantee Lisa Palmer looks at the factors threatening global food security in her new book Hot, Hungry Planet: The Fight to Stop a Global Food Crisis in the Face of Climate Change. Palmer launched her book at the Woodrow Wilson Center in Washington, D.C., where she was previously a public policy scholar. The Wilson Center, a U.S. Presidential Memorial, serves as a policy forum on global issues and supports researchers and discourse. 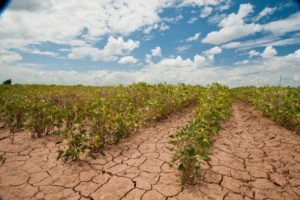 At the launch, the Wilson Center invited Palmer and a group of experts to comment on Hot, Hungry Planet and what challenges and opportunities are currently available to stem food shortages. 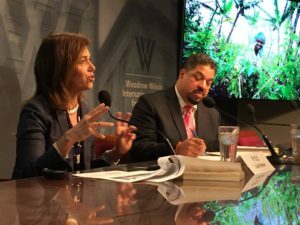 Panelists included: Channing Arndt, senior research fellow at International Food Policy Research Institute; Roger-Mark DeSouza, Director of Population, Environmental Security, and Resilience at the Wilson Center; and Nabeeha Kazi, president and CEO of Humanitas Global. 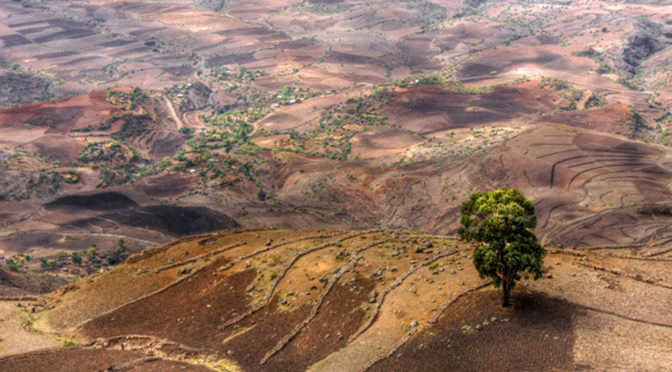 In Hot, Hungry Planet, Palmer explores the future of food security through seven case studies located in six regions around the world: India, sub-Saharan Africa, the United States, Latin America, the Middle East, and Indonesia. Through these examples, Palmer looks at how the global population boom (expected to reach 9.7 billion people by 2050), climate change, and the widening socioeconomic divide will make feeding the world challenging. To read the complete story on the Pulitzer Center website, please follow this link. Here is my latest commentary for Scientific American. I write that creating sustainable food systems in the face of a changing climate isn’t easy—but innovators around the world are making real progress. But change is not easy. How can leverage points in food systems and in institutions help us work toward solutions? 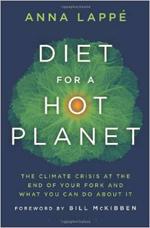 I cover some solutions in my new book, Hot, Hungry Planet. “Weather extremes and environmental shocks, for instance, will likely occur more frequently in the future. 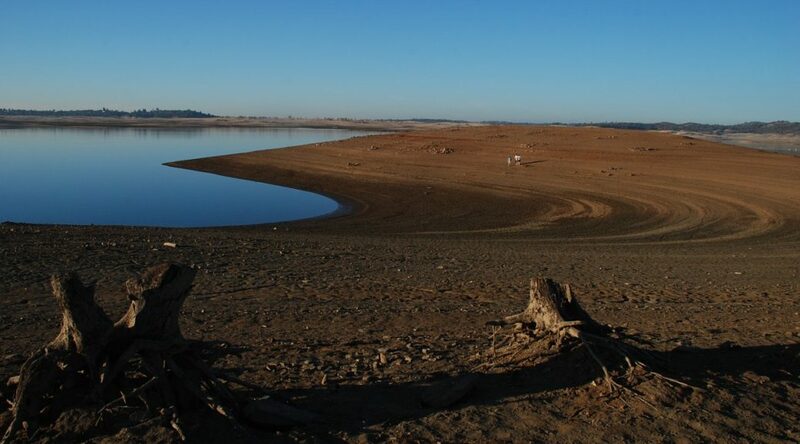 In California, the multi-year drought and recent lifting of the drought emergency after a heavy rain and snow year has had a cascade of lingering effects, calling for greater management of both extremes and making water conservation “a way of life” by executive order. The four objectives of California’s new management plan include educational and policy nudges such as using water more wisely, eliminating water waste, strengthening local drought resilience and water holding capacity, and improving agricultural water use efficiency and drought planning. Any successful answer to feeding a hot, hungry planet will result from continual changes, shifts, and adaptation to an uncertain future. Figuring out where society can sustainably grow more food and how people might try to do that under climate change will be inextricably linked to national security, public health, and economic goals. Food system challenges in a changing climate have already led to political instability in some places, and migrations and tensions over changing amount and location of natural resources are likely to grow. To continue reading, please go to my piece in the Observatory blog in Scientific American. The thick, mature trees that line the neighbourhoods of Gainesville, Florida, cast cool shade onto the residences below. Like many cities, Gainesville has policies that restrict the cutting down of trees, on the basis that the 50-to 100-year-old large, healthy trees with unique value (sometimes called ‘heritage trees’) make the city prettier and clean the air and water. Studies also show that leafy streets help sell houses1, benefit mental health2, and reduce asthma3 and crime4. 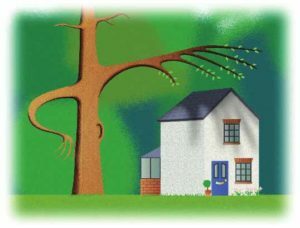 While municipalities in the southern and western United States are creating ordinances and programmes that restrict clear cutting for development projects and encourage tree planting for aesthetic reasons, they may now have further reason to discourage residential tree removals and encourage extending the life of mature trees: the shade they provide offers significant energy benefits, too. 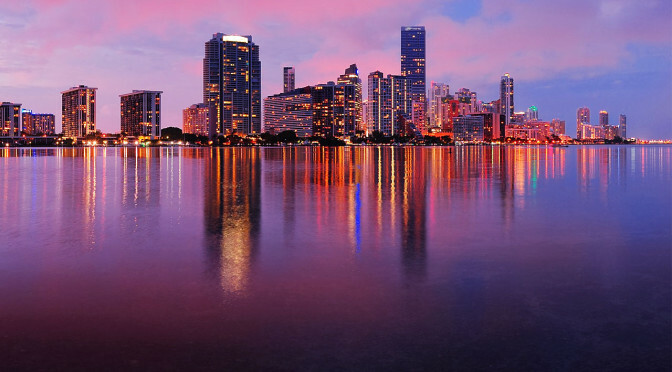 In warmer climates, trees keep houses cool and reduce the electricity needed for air conditioning, which accounts for a large proportion of energy consumption in sunny states like Florida. Despite compelling scientific support for the benefits of urban and suburban greenery, mature trees are at risk due to the lack of valuation for their energy services to homeowners and communities, and due to lack of public information about their energy benefits. Hot, Hungry Planet focuses on three key concepts that support food security and resilience in a changing world: social, educational, and agricultural advances; land use and technical actions by farmers; and policy nudges that have the greatest potential for reducing adverse environmental impacts of agriculture while providing more food. Palmer breaks down this difficult subject though seven concise and easily-digestible case studies over the globe and presents the stories of individuals in six key regions—India, sub-Saharan Africa, the United States, Latin America, the Middle East, and Indonesia—painting a hopeful picture of both the world we want to live in and the great leaps it will take to get there. In the U.S., we waste approximately 34 million tons of food a year. That’s Russell Cavin of Keep Austin Fed, a Texas not-for-profit that rescues nutritious, edible food, and delivers it to local Austin charities. In a county where almost one in five people do not know where their next meal is coming from, Cavin says food rescue makes sense. 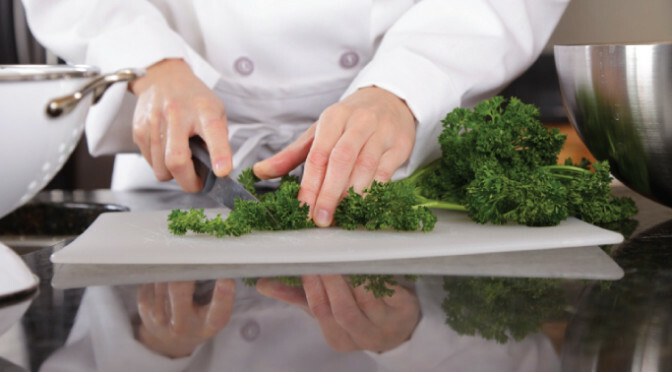 The food comes from supermarkets and restaurants, which often toss perfectly good fare that looks less than perfect – like a pre-made sandwich with wilted lettuce. It’s a huge amount of perfectly good food that is now filling hungry bellies. And with less ending up in the landfill, there is less climate-warming methane gas being released into the atmosphere – a win for everyone. 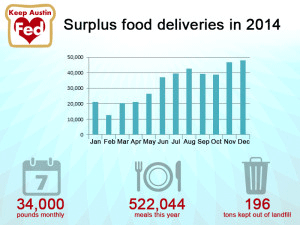 Photos source: Keep Austin Fed website. Walk down any baking aisle at the grocery store, and you’ll notice two types of vanilla on the shelf. The one with the higher price tag is vanilla extract, made from the seedpods of the vanilla orchid, which grows in the shade in tropical areas like Madagascar and Indonesia. The other “vanilla” is a much lower-priced flavoring made from a chemical compound called vanillin, using a chemical process with petroleum as the base. Pioneering synthetic biology efforts, however, are leading to a third option that now allows food scientists more control over its flavor profile: the first “synbio” vanilla flavoring. Synbio vanillin, the primary chemical inside the vanilla bean that gives it its flavor, is produced with brewer’s yeast that has been genetically engineered to be able to make a chemical compound—in this case, vanillin. This process is also being used to produce synbio stevia (a sweetener), synbio saffron, and synbio resveratrol, a dietary supplement with antioxidant properties, says Todd Kuiken, a senior program associate with the Synthetic Biology Project at the Woodrow Wilson International Center for Scholars in Washington, D.C. Synbio vanillin and synbio resveratrol have been on the market since 2014, while synbio saffron and stevia will likely be available next year, he says. And that’s just the start of a wave of new “synbio” food products, predicts Kuiken, whose program at the Wilson Center aims to inform public and policy discourse on synthetic biology. He envisions synbio increasingly being used to make food flavorings and key perfume ingredients that, like vanilla or saffron, are very high in value and difficult to grow or produce. Synthetic biology uses tools like computers, DNA sequencing and chemicals to design organisms that do new things. The fermentation process that results in the new synbio vanillin, made by the Swiss company Evolva and sold almost exclusively as an ingredient to food companies, is just one method of synthetic biology; others more closely resemble breeding. “Basically they [Evolva] are able to use yeast as the production factory,” says Kuiken, who adds that the synbio fermentation process is less energy intensive than using petro-chemical methods to make flavorings. Evolva also claims that this process allows the flavor profile of vanilla in foods to be controlled more precisely. Many of California’s major farming regions get very little rain, so irrigation is critical. As a result, 80 percent of the state’s fresh water goes to agriculture. More efficient irrigation by farmers could help California’s water supply. Heather Cooley, the director of the water program at the non-profit Pacific Institute says many farmers are replacing traditional furrow irrigation, where the rows between crops are simply flooded, with highly efficient drip irrigation systems. But not all California farmers have adopted the new techniques. If all California farmers implemented efficient irrigation practices, Cooley says it could reduce agricultural water use by about 15 percent. Cooley says incentives and technical support would help farmers make this transition. Given climate projections, it is becoming even more important for California farmers to conserve water since the future is expected to get hotter and drier. 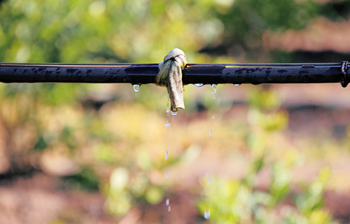 Photo: Close up of drip irrigation (copyright protected). 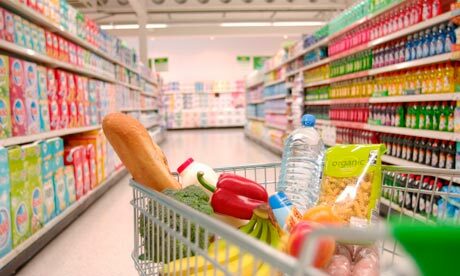 The choices we make at the grocery store can help reduce climate change. From clearing forests for agriculture to manufacturing synthetic fertilizers, using energy-intensive farming, and meeting a rising demand for meat – our complex food system accounts for almost one-third of global greenhouse gas emissions. But Lappé says there is a silver lining. About half of the grain produced around the world today is being used to feed livestock instead of people. 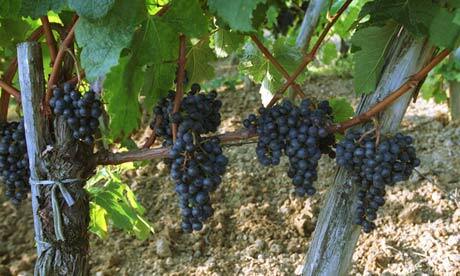 So Lappé suggests shifting to a more plant-centered diet. 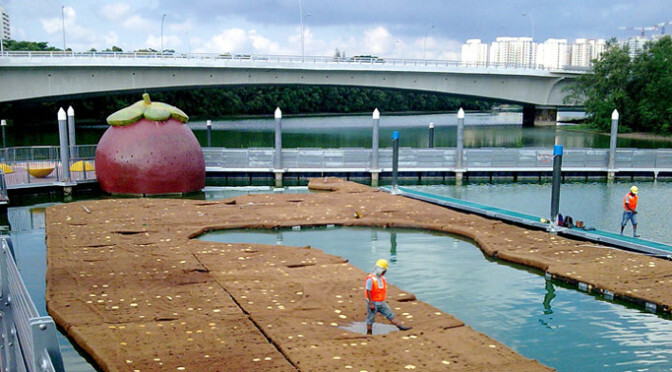 People can also consider how their food was grown. She says organic practices mean less synthetic fertilizers, agrochemicals, and energy use. Lappé’s message is upbeat. She says what’s healthiest for our bodies is also best for the planet. 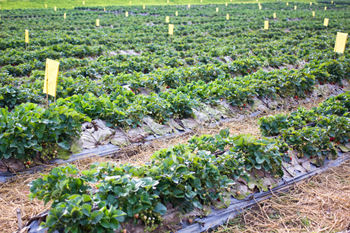 Photo: Organic strawberry farm (copyright protected). SteveBurt/Flickr Honeybees feed on goldenrod flowers.